Southampton, UK – B&G®, the world’s leading sailing navigation and instrument specialist and official supplier of sailing instruments and navigation electronics for the 2017-18 Volvo Ocean Race, is pleased to introduce the new Zeus3 Glass Helm series. 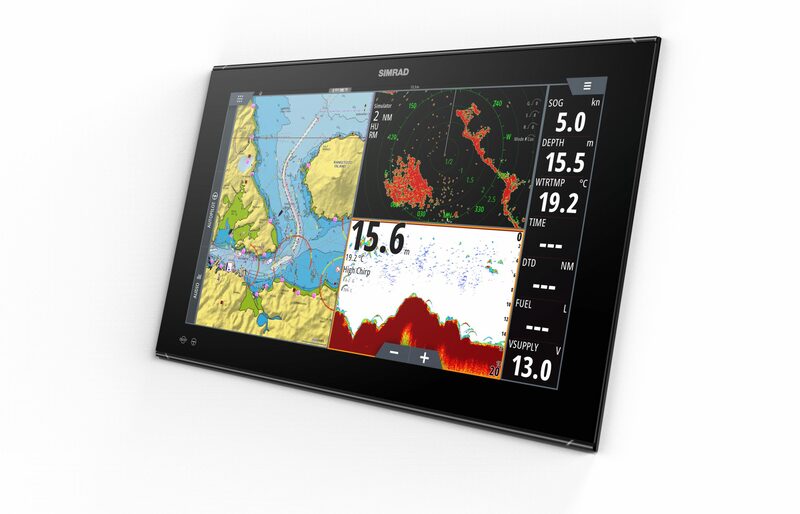 Designed specifically for blue-water sailing, multihulls and superyachts, this premium, super-fast, large-screen, multifunction display sits at the heart of a fully integrated navigation system. The B&G Zeus3 Glass Helm has an ultra-bright, wide-angle, full HD display featuring an allweather, easy-to-use touchscreen and a low-profile, glass design. Whether it’s planning a route, checking for obstacles and weather on the radar display, or simply navigating to the next destination, the Zeus3 Glass Helm’s impressive screen enables users to view data through polarized lenses, from any angle, even in bright sunlight. The display can also be controlled using both buttons and rotary dial through a Zeus Controller. Like all B&G chartplotters, Zeus3 Glass Helm comes complete with award-winning sailing functions, bringing together all key sailing data on one screen via a multiple-split screen, or overlaid on charts for the modern sailor’s ultimate navigation view. A powerful, built-in quad-core processor provides super-fast data processing and eliminates the need for a separate black box, simplifying installation and making it easier to integrate radar, ForwardScan™, charting, autopilots, sonar, digital monitoring and control and more into the glass helm system. Taking data from B&G instruments and sensors on the network, B&G SailSteer provides an intuitive graphic display of boat speed, wind speed, heading, tide, wind shift sectors and laylines. It’s easy to add waypoints or plot a course using the intuitive interface and touchscreen, and with B&G SailingTime, users see waypoint arrival times based on a sailing course and tidal effects, rather than a straight-line calculation. Available in 16-, 19- and 24-inch displays, Zeus3 Glass Helm will be available in Spring 2018 from authorized dealers and distributors throughout the United States and Canada. For more information on the Zeus3 Glass Helm visit www.bandg.com.